RICHMOND, Va. (AP) – A judge has denied a Virginia Republican’s request that U.S. Senate primary ballots without his name not be printed. The Richmond Times-Dispatch reports U.S. District Judge John A. Gibney Jr. said in an order Wednesday that Ivan Raiklin waited too long for the court to stop the state from printing primary ballots. Raiklin filed a lawsuit May 1 against the Republican Party of Virginia and the commonwealth, alleging that party and state officials unfairly kept him off the GOP primary ballot even though he collected the required number of signatures. The party said in late March that he didn’t obtain enough signatures. 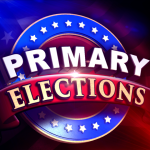 Gibney’s order said Raiklin brought his case after the state law-mandated April 28 deadline for printing and making primary ballots available for absentee voting had passed.